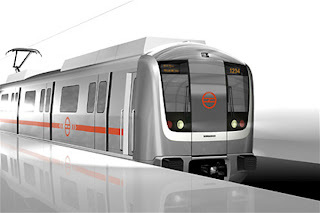 Nine Metro stations in central Delhi will be closed for six hours and services partially curtailed on three lines on the occasion of Republic Day.Rajiv Chowk, Patel Chowk, Central Secretariat, Udyog Bhawan, Race Course, Khan Market, Barakhamba Road, Mandi House and Pragati Maidan will be closed from 6 a.m. to 12.30 p.m. on Thursday as part of the security arrangements for the Republic Day.These Metro stations either fall on the path of the Republic Day parade or close to it.Metro schedules of Line 2 (HUDA City Centre-Jahangirpuri), Line 3 (Noida City Centre-Dwarka Sector 21) and Line 6 (Central Secretariat-Badarpur) have been partially modified, a Delhi Metro spokesman said.However, Rajiv Chowk and Central Secretariat stations will be used for interchange of passengers.He said trains will be run in three short loops on these corridors from Noida City Centre to Indraprastha, Vaishali to Yamuna Bank and Dwarka Sector 21 to Rajiv Chowk. Normal train services will resume from 12.30 p.m. after the Republic Day parade is over.Similarly, on January 29 on the occasion of Beating Retreat, Metro services on Line 2 and Line 6 will be curtailed from 03.00 p.m. to 06.30 p.m.On Line 2, the Central Secretariat and Udyog Bhawan stations will remain closed during this period. However, interchange of passengers from Line 2 to Line 6 and vice versa will be allowed, the spokesperson said, adding that on Line 6, Khan Market will be closed.The spokesperson also said all Metro parking lots will remain closed from 02.00 p.m. on Wednesday to 2.00 p.m. on Thursday as part of the security arrangements.